Last weekend’s show at Mariposa Stables served notice that the 2018-2019 year is underway with a bang! Spectators were treated to stylish performances by our junior equestrians, from our Future Champions in Lead Line right up to the 3-foot level. 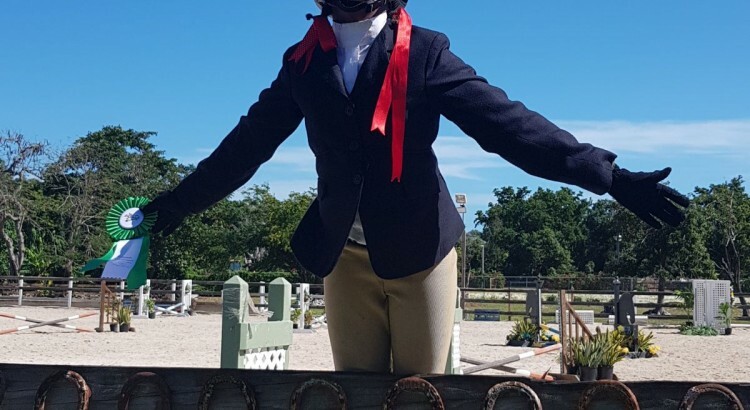 The show was judged by Mrs. Linda Mancini, USEF R-rated judge in Hunters, Jumpers and Equitation, and owner of Winners Circle Farm in Warwick, New York. Congratulations to all riders and trainers on goals achieved, lessons learned, and ribbons won! Thanks also to the many parents and supporters who shared with us the wonderful images below. Enjoy, and see you next month at the Camperdown Equestrian Centre show! A big thanks to all riders, parents and coaches who contributed to the 2nd Annual BIEL Championship event a resounding success. We were happy to welcome back the Lucaya International School team from Freeport, Grand Bahama! Congratulations to the Queens College Team which outscored LCIS by one point to win Sunday’s team competition. 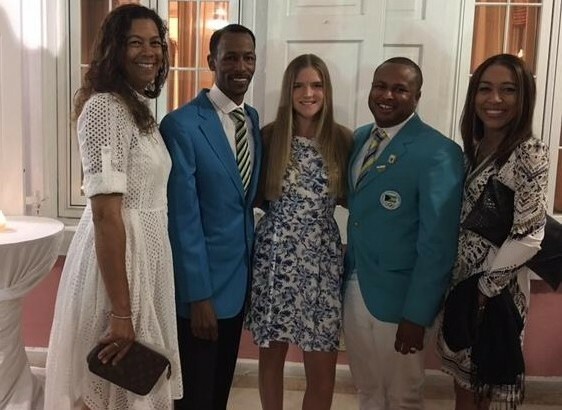 Of course ultimate congratulations must go to the Lyford Cay International School team for successfully defending their title as overall Champions of the Interschool League! Well done everyone…see you next year! Congratulations to all riders, teams and coaches, and a big thank you to all parents, teachers and other supporters who came out to Camperdown Equestrian Centre last weekend for the year’s first BIEL show! 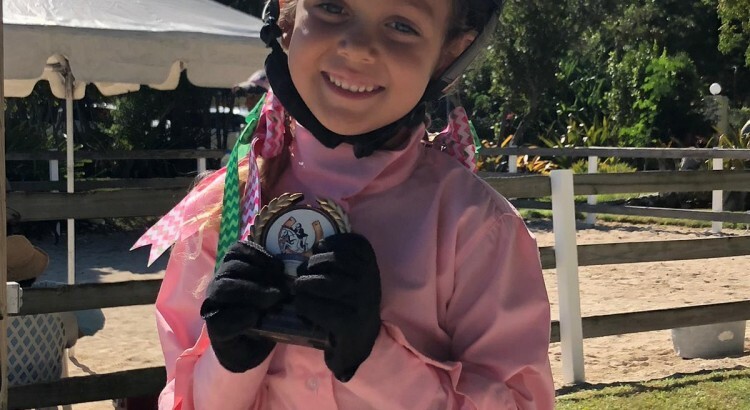 Although we were sad that our friends from Lucaya International School were unable to make the event, CEC teemed with excitement and energy, with great riding and sportsmanship taking centre stage! The BIEL-sponsored shows differ from EB’s regular shows in several important respects. 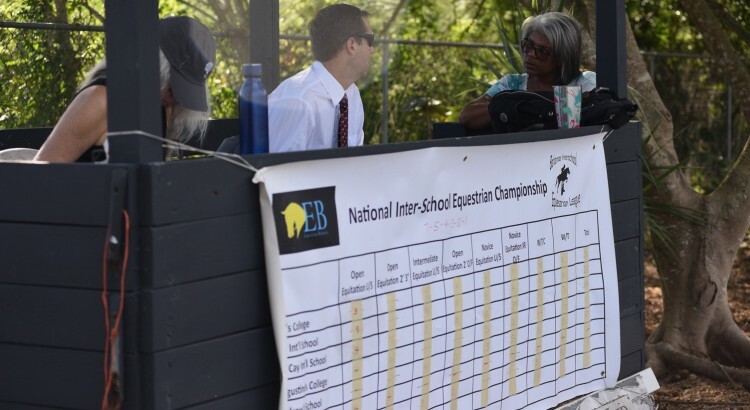 They are team-oriented, free of charge to EB members, and feature a ‘horse-draw’ format in which riders are required to compete on potentially unknown horses with minimal preparation. 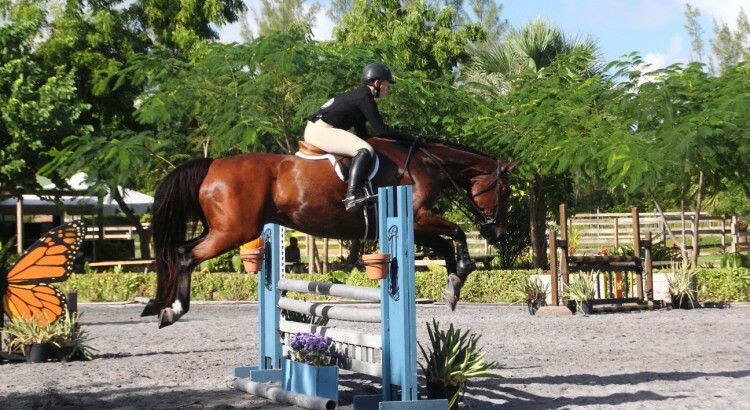 Based on the format of NCAA and IHSA competitions, this process is fun and challenging, and designed to prepare our riders for collegiate competition! 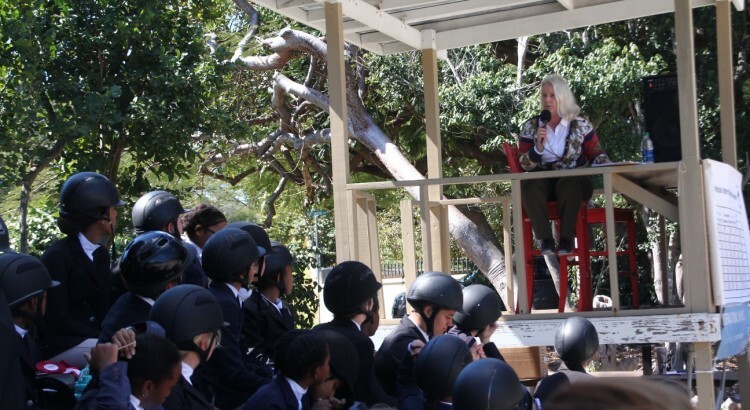 25 riders competed in six teams, representing Lyford Cay International School, Queens College, St. Andrew’s School, Tambearly School, Windsor Preparatory School, and an Independent team comprised of St. Augustine’s College, Summit Academy and Homeschooled students. The show was judged by Jane Dow-Burt, a ‘R’ licenced USEF judge and President of the Westbrook Hunt Club in Westbrook, Connecticut. Judge Dow-Burt was impressed on many levels. She commended EB and BIEL for the smooth running of the show, noted the dedication and professionalism of our trainers, and above all commended the riders for their sportsmanship and positive attitudes! At the end of the day the teams lined up proudly to receive their ribbons. Lyford Cay International School was the winning team, followed by St. Andrew’s School in second place and Queen’s College in third. Windsor Preparatory School and the Independent team tied for fourth place, followed by Tambearly School in sixth. 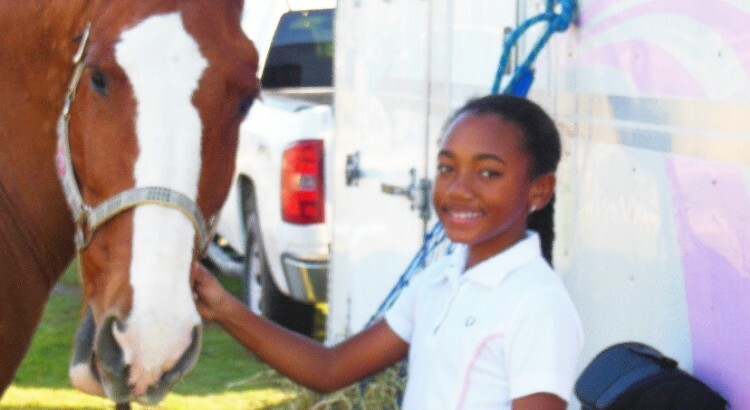 The regular EB horse show season continues with the Annual Rotary show on March 10-11. The next interschool equestrian competition will be held at Camperdown Equestrian Centre on April 28, 2018. Admission is free and the public is welcome to attend.